This is the third part of a four-part series of articles about the bias against men and boys in psychological research. There is a video companion to this series that summarizes the contents of these articles. A link to this video will appear at the end of this article. I was browsing on the web and happened to read an article about a study on “Reproductive Coercion.” As I read it, I was amazed at the statistics. One article said that 53% of women surveyed had experienced violence in relationships. “Wow” I thought, that’s over half of the respondents. That’s quite a few. I read on and read other stats that were equally shocking. I began to wonder about how the researchers had come up with such alarming statistics. Suddenly, the results started to make sense. We know that lower socio-economic levels tend to show much higher levels of interpersonal violence (IPV). One Department of Justice report shows that women with lower income levels are almost three times as likely to experience relationship violence as those with higher incomes. We know that women in rental housing are three times as likely to experience IPV, moreover, as those who own houses. This sample of impoverished women, therefore, dramatically increased the likelihood of finding higher rates of IPV. Then, I started to wonder. Why did all of the articles that millions of people had read, miss important information about the sample? Clearly, the journalists were not doing their homework. Consequently, they were distributing misinformation. I needed a copy of the study. I found it online at Contraception,the journal that had published the original article. After reading it, I was shocked. It contained no mention at all of the sample’s socio-economic context. No mention, in other words, of whether they were rich or poor. I had earlier assumed that lazy journalists had not done their homework by taking the time to read the original report on this study.. But I now realized that something else entirely had been going on. The information had been omitted from that original report. No fewer than seven researchers had written it, which means that at least seven people had read and edited it. How could all seven have left out anything so basic as a description of the sample? I decided to ask the lead researcher, Dr. Elizabeth Miller, about this. Had the Aggie made a mistake? She replied very pleasantly a few days later, apologizing for the delay. Yes, she said, the Aggie was indeed correct; the sample had included mostly disadvantaged African American and Hispanic women. I wrote her back very quickly, asking why the article in Contraception had omitted that information. Was she not worried that journalists for the mass media were already implying that the study could generalize to the population at large? She wrote me back once but never offered any answers to those questions. At that point, I contacted Gabrielle Grow, who had written the Aggie article and congratulated her on a job well done. I asked her how she had found out about the sample being “impoverished.” She told me that it was merely one of the questions that she had asked the researchers in an interview. I wrote her back, congratulated her again, and explained that journalists for every major national outlet had all missed that important bit of information. Only she had asked the important question. 1. Young women and teenage girls often face efforts by male partners to sabotage their birth control by damaging condoms and destroying contraceptives. Sometimes, these men resort to emotional pressure or even coercion..
Fifty-three percent of respondents said that they had experienced physical or sexual violence from an intimate partner. No wonder readers got the impression that this study applies to the general population–even though the researchers, when Grow asked them, admitted that the study applies only to the poor. One must assume that the researchers failed to mention this important information not only in their press release but also in their interviews. Actually, they said very little that might have discouraged journalists from playing this as a study about men and women in general. “This study highlights an under-recognized phenomenon where male partners actively attempt to promote pregnancy against the will of their female partners,” said lead study author Elizabeth Miller. What do all of these headlines and quotations have in common? They all sound as if the study in question applies to the general population of men and women, boys and girls. The circulation of Newsweek is 2.7 million, so that source alone gave many people the impression that men in general coerce women in general into pregnancy. So, we have gone from low-income black and Hispanic women claiming that they are victims of coercion by their sexual partners to global pronouncements about reproductive coercion being “horribly prevalent.” Right. Those crazy condom puncturing control freaks are part of a horribly prevalent pattern. It doesn’t take much imagination to see the next step as dinner table conversation. The daughter announces over dessert that men puncture condoms and force women into pregnancy. Mom tells her that this can’t be true, The daughter pulls up the article in Newsweek and then to the accompanying blog. Dad is still unimpressed–until she pulls up a link to the study, which partially verifies her false claim. Everyone at table is convinced now that men in general are coercing women in general into pregnancy. This is the way in which “memes” get started. A “research” article tells half the story, and journalists not only misinterpret it but also pass on their misinterpretation to unwitting millions. This is precisely what happened in connection with research on domestic violence. Early feminist researchers only told half the story, that women were victims of domestic violence and men were perpetrators. Journalists simply reported on that story. By now, millions of people—both women and men—believe that only women are the victims of domestic violence and only men the perps. The scientific method is very clear. You create a hypothesis and find a way to test it. You then carefully sift through the test data and account for the data that affirm your hypothesis and explain away data that conflict with it. Over and over again, feminist researchers have simply ignored data that conflict with their ideologically influenced hypotheses, (male victims) and focused solely on data that confirm it (female victims). In this study, the researchers failed even to interview the accused men to get their side of the story or ask the accusing women if they, too, had resorted to some form of coercion. Instead, the researchers asked only questions that were likely to provide them with the “acceptable” answers and asked only those who were likely to provide them with these answers. In the case, the researchers “forgot” to remind journalists that their sample was very limited. As in the first study about teen violence, a press release has steered the data. Could this have been an honest mistake? If so, I would have expected Miller to answer my questions about the sample. But she did not. One could easily conclude that the mistake was a politically motivated one, not an honest one. Perhaps we will never know. But I know what my guess is. What’s yours? Many thanks to Typhonblue for pointing out to me that the CDC has statistics on reproductive coercion. And guess what. Their data indicate that men are more likely to be victims than women. Of the men, 8.7% were victims; of the women, 4.8%. This figure excludes conflict over the use a condom, which could be due to sensation and not necessarily to reproductive control. I inquired about the issues examined in this article to the editors of the Journal Contraception. Their response? “So sorry, not able to comment. This article was handled by the previous editor.” Pretty much an expected denial and refusal to take any responsibility. 3. A 2013 USA Today article gives you a sense of how people have spun this idea. 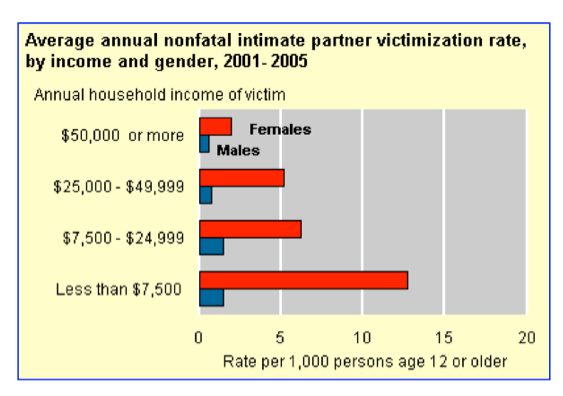 They refrain from mentioning that men are the victims of reproductive coercion more often than women are, from asking male victims of this abuse to seek help at DV hotlines and from defining reproductive coercion as follows; “Reproductive coercion occurs whenever a partner tries to prevent a woman from making her own choices about pregnancy … thus ignoring male victims and female perps.